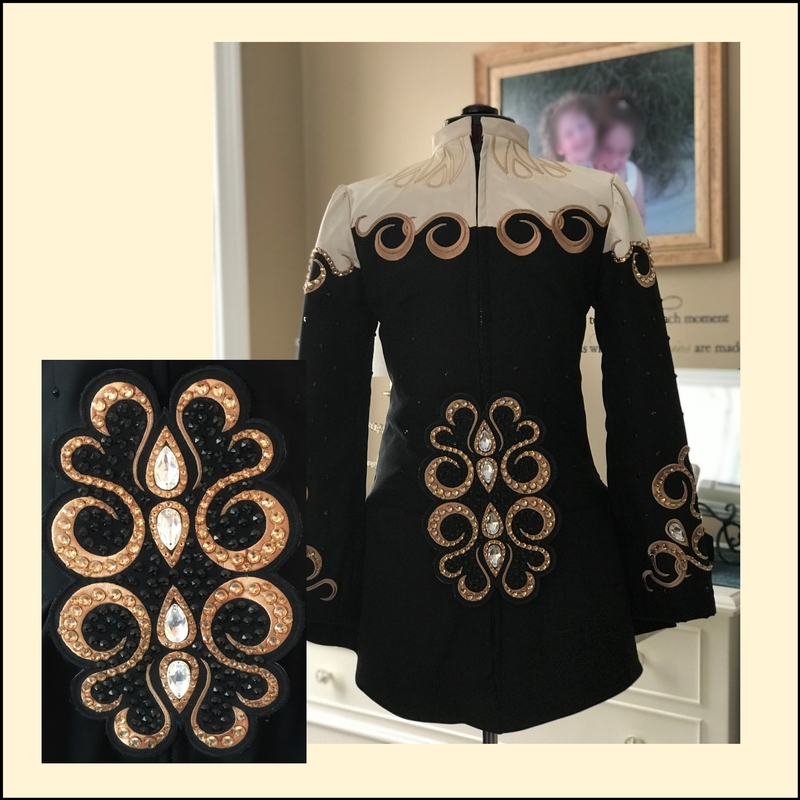 Elegant champagne and black solo dress, worn by a slim Prelim/Open Champion dancer, but suitable for a Prizewinner level. 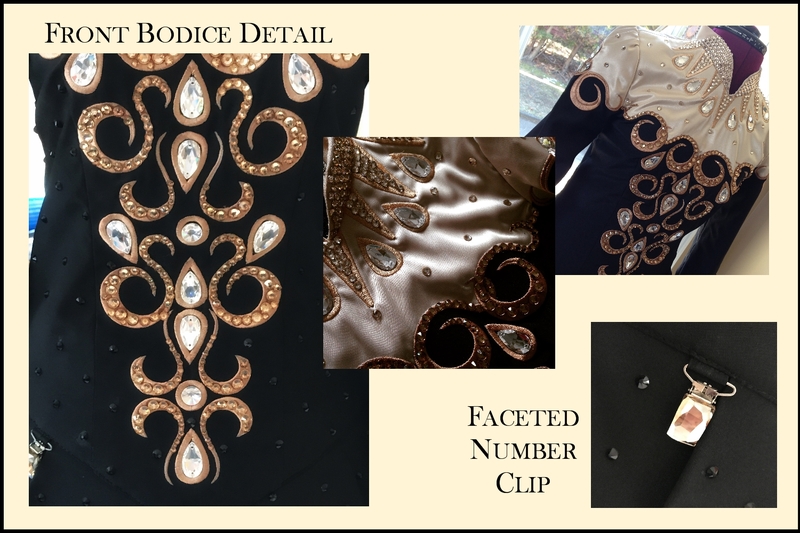 Beautiful upper bodice in champagne satin, embroidered in a slightly darker color than the fabric, and adorned with Swarovski crystals and pears. The lower bodice is made with a high quality black matte satin fabric. Embroidery is done in a beautiful bronze color with matching Swarovski crystals and pears. 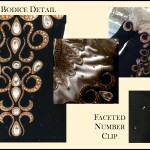 The skirt has been recently updated and features the same champagne satin with a lovely jabot overlay in black. Large faceted number clip and stiff cape are included along with a custom embroidered soft crown and a traditional headband crown. Dancer wore a full wig so the shoulders are not stoned, but I will include stones if you wish to embellish. 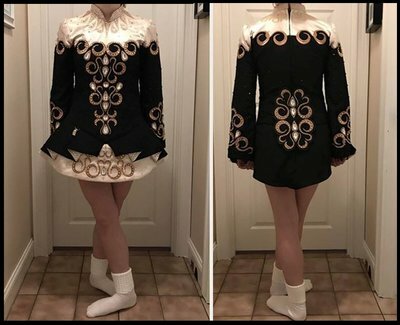 Asking Price: $700 USD. Shipping extra and withing US. Sale is final.